Peter Westergaard is the William Shubael Conant Professor of Music, Emeritus, at Princeton University. A composer and music theorist, he was a student of Milton Babbitt. He has composed numerous operas from Charivari (1953) to Alice and Wonderland (2006). He is also the author of "An Introduction to Tonal Theory (W.W. Norton, 1975). Amongst former pupils of Babbitt, Westergaard stands out for his contributions to serial theory, as well as for his compositions, which are characterized by a delight in symmetry and mirror relationships, together with a concern for the systematic and integrated use of all the parameters of music, producing multileveled, clear, beautiful, and audible patterns (Paul Griffiths, Modern Music, 1981). Westergaard was born in 1931 in Champaign, Illinois. He pursued undergraduate studies at Harvard University, graduating in 1953, and in 1956 obtained an M.F.A. degree from Princeton University. 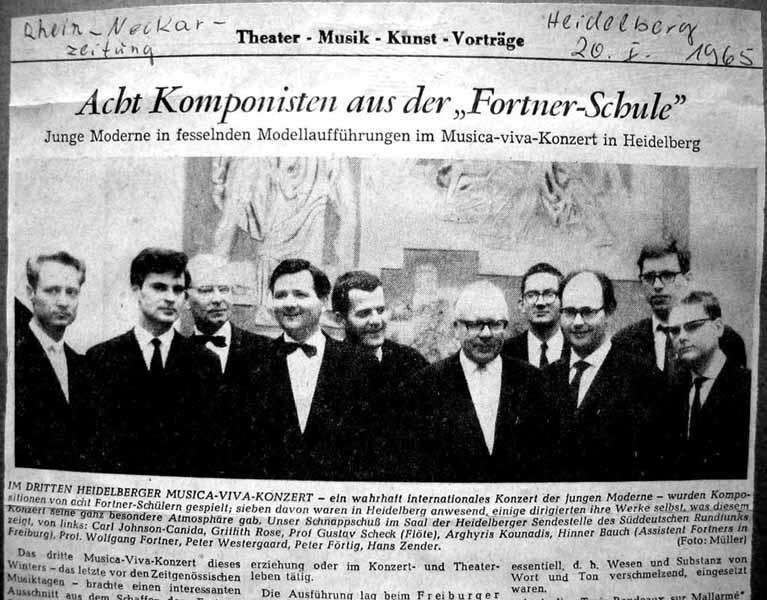 He studied with Roger Sessions, Walter Piston, Darius Milhaud, Edward Cone, Milton Babbitt and Wolfgang Fortner in Freiburg.